Fairy tales tell us the stories we need to hear, the truths we need to be aware of. Arising from oral narrative, born of imagination, they are constantly being adapted to fit new cultural contexts. They shapeshift just like their characters. Their plots, motifs, and elements often serving as warnings. 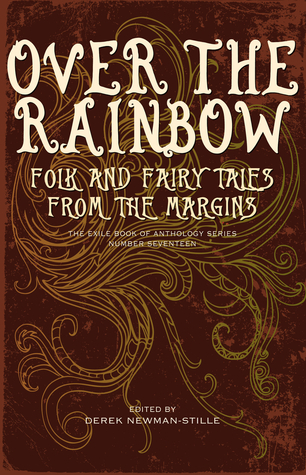 Over the Rainbow: Folk and Fairy Tales from the Margins is a collection Fairy tales tell us the stories we need to hear, the truths we need to be aware of. Arising from oral narrative, born of imagination, they are constantly being adapted to fit new cultural contexts. They shapeshift just like their characters. Their plots, motifs, and elements often serving as warnings. Over the Rainbow: Folk and Fairy Tales from the Margins is a collection of adult stories that invite us to imagine new possibilities for our contemporary times. And much is happening in these times! Cultural diversification and increased societal awareness of personal differences is allowing voices that tend to be silenced by mainstream society to come to the forefront. To ask other readers questions about Over the Rainbow, please sign up. This review has been hidden because it contains spoilers. To view it, click here. « Over the Rainbow » was a very rare find for me - a short story collection with no weak spots. Some of the authors I recognized going in as long-time favourites: Fiona Patton, whose story « I Am Not Broken » was an intricate and entertaining blend of fairy tale and science fiction; Kate Story, whose story in this collection entitled « Martinis, My Dear, Are Dangerous » is the perfect blend of creepy and lovely. Others I was delighted to be introduced to here for the first time, like Liz Westbro « Over the Rainbow » was a very rare find for me - a short story collection with no weak spots. Others I was delighted to be introduced to here for the first time, like Liz Westbrook-Trenholm, whose story « White Rose, Red Thorns » introduces a universe of interconnected fairy tales and a love story whose happy ending was decades in the making. Overall, the collection was an excellent look at the relationship that stories have to the categories that define us and how we can overturn those categories to make the story our own. With a mixture of short, often humorous tales and longer, more literary gems, each story seems carefully chosen to both stand strong on its own merits while simultaneously strengthening the collection as a whole.